The RPM Traxxas Slash Rear Bumper was molded from RPM's incredibly durable materials to create a bumper that looks just like current full-sized Short Course and Baja style rear bumpers. Full-sized rear bumpers are wide and flat and this scale version is exactly that, for the ultimate in rear-end protection. RPM rear bumpers will stop most rear impacts from affecting the truck in any negative way. Additionally, RPM rear bumpers for the Traxxas Slash weigh in at a full 9 grams (18%) lighter than the stock version! Lighter is always faster. What else could RPM do to make these things even more realistic? How about mounting points for mud flaps? That’s right; these bumpers come stock with mounting positions for RPM mud flaps (#81012 - available separately). Now the Slash owner can run mud flaps for ultra-realistic good looks. 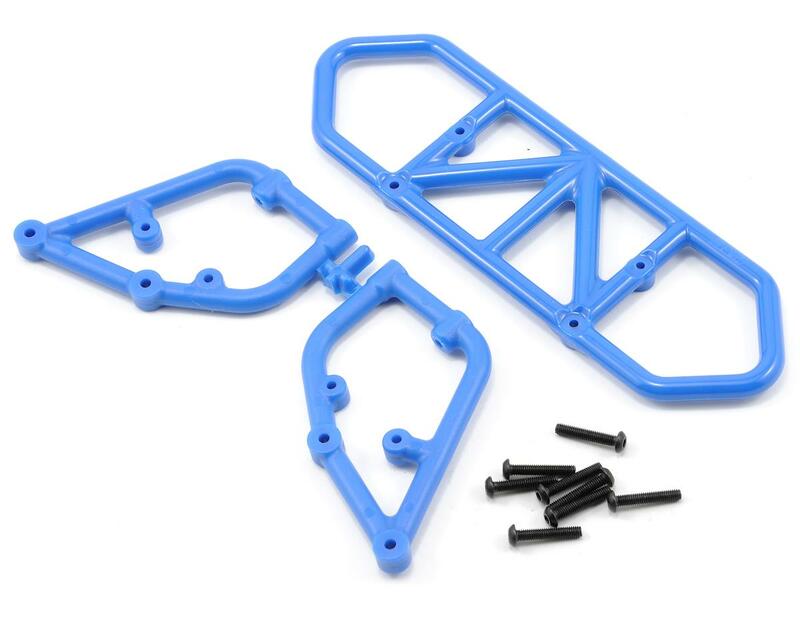 RPM rear bumpers for the Traxxas Slash are available in a variety of color options. 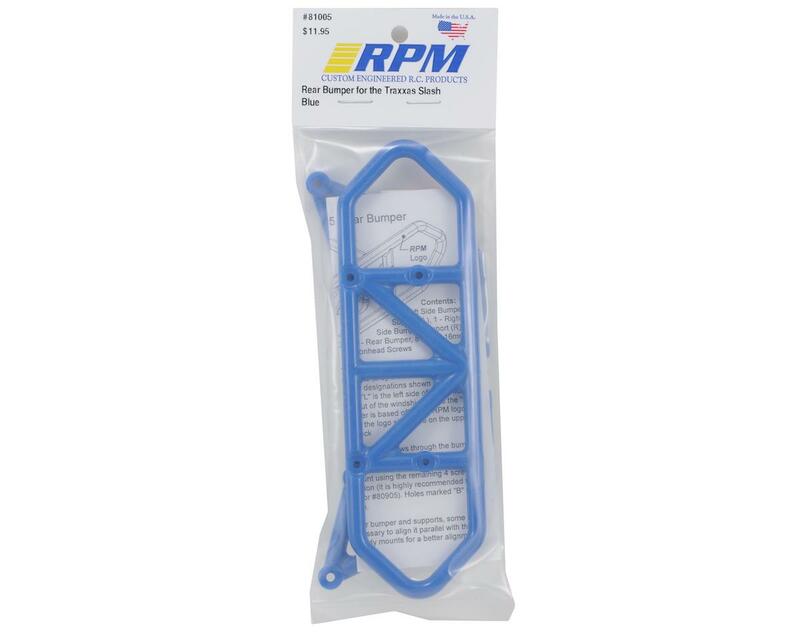 All RPM rear bumpers are sold with all necessary hardware and complete mounting instructions.